Bands and acts from Uptown Music have played at many of the beautiful and prestigious venues across London and the South East of England. Additionally, Uptown Music bands and acts have performed at stunning and select venues across the South West and Central parts of England. This is in addition to travelling further across the country, to include Northern England, Wales and Scotland; not forgetting the international presence they have in Europe and the Middle East. The White Horse pride themselves in providing luxurious quality in a warm and relaxed setting, so whether you are planning a corporate event at Goodwood or a family party, you can rest assured that they will take care of all the fine details so you can simply celebrate. The Century Club encompasses the perfect place to work, rest and play in the heart of Soho, London. Discreetly hidden behind our modest front door on Shaftesbury Avenue. Dyrham Park is ideally situated for weddings - being close to Central London and the junction of the M25 and A1 - but surrounded by beautiful countryside. Copdock Hall is a stunning Suffolk wedding venue set in beautiful surroundings and providing a real ‘wow’ factor. For over 700 years Ripley Castle has been the quintessential essence of Yorkshire romance. From the moment you arrive the scene is set for a truly enchanting and unique experience. Brookfield Barn is licensed for civil ceremonies - both the barn complete with its stunning views through the large bi-fold doors and the outside oak gazebo with the picturesque views along the lake. The choice is yours! They offer fully exclusive use for your day including the whole grounds and their small golf course! Your special day should be truly memorable. With over 40 years experience of hosting weddings, Foxhills is the perfect Surrey wedding venue, helping couples from nearby Hampshire and London celebrate their union in style. An exclusive wedding and party venue in the stunning Broadland Countryside, recognised by The National Wedding Industry Awards as the UK's Best Countryside Wedding Venue. Old Alresford Place is an elegant 17th century private Georgian house set in 3 acres of picturesque grounds in rural Hampshire. You have exclusive use of the venue for your entire stay and plenty of free parking. Cowdray House is a truly spectacular exclusive-use venue suitable for large receptions as well as more intimate gatherings and yet still retaining the warmth of a family home. Cowdray House offers superb flexibility with a choice of recommended and trusted caterers and suppliers. It has 22 luxury bedrooms. Tylney Hall is a Grade II listed building and remains an outstanding example of a luxury country house hotel that has never lost its old world sense of charm, whether you are visiting for business or pleasure. Brighton Beach Club is a family run restaurant and a stone’s throw away from the beach. They hold over 100 events a year; whether a wedding birthday, a themed event or charity dinner; they can manage this for you. With its superb location on Brighton promenade, Brighton Beach Club has an allure of its own- art décor architecture, panoramic sea views, exceptional cuisine and the highest level of service. Clock Barn Hall is an innovative venue that offers everything a customer wants in terms of a "barn wedding" but has all the modern conveniences that other barn venues do not offer. This magnificent Victorian mansion, originally built as a hunting lodge, now has a beautiful Garden Pavilion to combine with the picturesque setting to create the wedding venue in Hampshire you have always imagined. Two Woods is a 42 acre woodland wildlife estate in West Sussex. There is a barn with seating for 100 guests, with bar area, orangery and garden; also a huge wedding loft with 7ft bed. There is a 10 acre meadow with fire pit, for games in the afternoon or guest camping. The Enchanted Redwoods are a truly unique and magical setting for a wedding ceremony. Farbridge is a barn that can host 60-150 guests, and includes seven en-suite bedrooms as well as a set of private rooms for the couple. From tables and chairs to a team of chefs waiting to create your menu, every detail has been considered. Just bring your dreams for your day. Chapel Barn is a stunning oak framed, 16th Century Grade II listed barn located in the bucolic West Sussex countryside. They are a family owned, working organic farm in the pretty village of Bolney, just a stone’s throw away from the South Downs. The beautiful barn is now licenced to hold Civil Ceremonies and Partnership Ceremonies. Southend Barns Wedding Venue will always go that extra mile to ensure you have the perfect day. 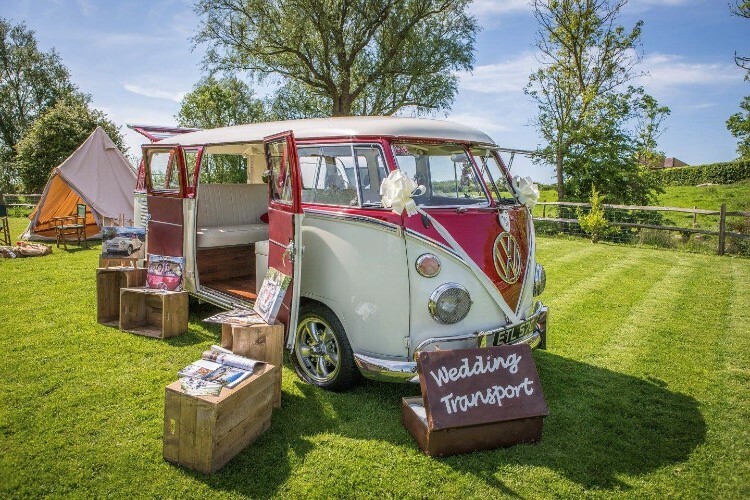 From pre-wedding planning and viewings to preparations on the day, which can mean hoovering the lawn, removing puddles and providing little extras such as marshmallows to toast on the fire pit, flowers for the bathrooms, umbrellas, blankets and goodies for the bridal suite – no detail is too small! With its scenic location on the South Bank of the Thames, Park Plaza London Riverbank provides an exquisite setting for wedding ceremonies and receptions in Central London. Upwaltham Barns is the prettiest barn wedding venue in the South of England. These traditional Sussex flint long barns are perfect for a relaxed country wedding and are set in the South Downs National Park next to the historic Goodwood Estate and are just half an hour from the coast. Leeds Castle is the most romantic place to hold your wedding celebrations, with an incredible selection of award-winning and historic wedding venues for your special day. Farnham Castle is a multi-award winning venue for Events, Meetings and Weddings with stunning buildings, five acres of beautiful grounds, world-class dining and guest accommodation. Overlooking the beautiful, historic town of Farnham, on the Surrey/Hampshire border, it’s the most fabulous venue when something a little different is required. With its convenient central location in the old Brighton Lanes, The Coach House is a lively and unique venue for celebrating your special day, with warm friendly service and a charm all of its own. The restaurant has an intimate and flexible layout, with a beautiful enclosed terrace for summer and a roaring central fire for the winter. Just a stone's throw away from Brighton beach; The Grand is the perfect setting for couples who wish to embrace a sophisticated seaside wedding. The traditional and occasionally quirky seaside charm, the beautiful bandstand and of course the stunning sea views, provide the perfect backdrop to capture the memories of your special day. Pangdean offers an intimate and atmospheric function venue set against the backdrop of the rolling South Downs. At the heart of their working farm lies our magnificent oak-framed Sussex barn. Built in 1720, the Old Barn has been lovingly restored to offer you a unique wedding or function venue that is exclusively yours for the day. Long Furlong Barn is a wedding venue in Sussex which sits in the South Downs National Park near Clapham a ten minute drive from Worthing. The picturesque valley is between Findon & Angmering nestled in the heart of West Sussex Countryside. The stunning views and surrounding landscape make it a perfect location for all types of events. Chiddinglye is a world within a world, a unique place to celebrate your special day. They offer the use of lawns and terraces of the main house for wedding receptions and Patrick's Barn, a 17th Century timber-framed barn with adjacent covered byre for dinner and dancing. No need for a marquee but one can put up if you like. The romantic double moated castle was once the childhood home of Anne Boleyn. There are two rooms within Hever Castle that can be hired for castle weddings – the Inner Hall and the Dining Hall. The centrepiece to this charming venue, however, has to be the Orangery. Filled with natural light all year round, its delicate and magical feel is perfect for that special moment of 'I do'. Other sumptuous reception rooms unfold throughout, allowing your wedding party the ultimate in comfort. St George’s Bristol is not only a world class music venue boasting a huge roster of legendary performances, but also plays host to a wide variety of events such as wedding receptions, professional recordings, product launches, parties, awards ceremonies, book talks and performances. Sopley Mill is a stunning, newly renovated watermill surrounded on both sides by the Avon River with uninterrupted views across the water meadows. Exclusively yours, the Mill provides privacy and flexibility for you to create your own unique wedding. Situated in the quintessentially English town of Burford, The Bay Tree Hotel is full of historical charm and contemporary style, boasting a setting to remember for your special day, whether small and intimate or traditional white wedding! There is nowhere more romantic to tie the knot in Dorset than Christchurch Harbour Hotel & Spa. Take your vows against a backdrop of breathtaking harbour views, overlooking Mudeford Quay and out towards Hengistbury Head. An exquisite 18th Century country house in South London, Morden Hall can be exclusively yours on your wedding day. Set within 125 acres of beautiful National Trust parkland and extensively renovated in 2015, this stunning venue has been designed to create a unique and memorable experience for you and your guests. With a historic wedding venue, prestigious meeting facilities and beautiful accommodation all on one elegant estate, Heythrop Park Resort is a venue unlike any other. The Kings Chapel has still managed to remain Old Amersham’s best kept secret! Set in the beautiful historic market town of Old Amersham, where character history meet in an ideal location. Begin the first day of the rest of your lives together at Stanbrook Abbey – an extraordinary Worcester wedding venue in the heart of the West Midlands. Lovingly restored as a perfect wedding venue, Lillibrooke Manor provides a romantic and picturesque setting for your special day. 38 acres of grounds stretch out in front of you as you sweep up the tree lined drive and catch your first glimpse of the ivy-country house at De Vere Horwood Estate, a leading wedding venue in Milton Keynes, Buckinghamshire. Shortlisted for the ‘Best Country Venue 2016’ title at the UK Wedding Awards, the estate reveals a series of unique indoor and outdoor spaces with four of them registered for civil ceremonies. Shustoke Barn is an idyllic setting for all elements of your day, perfectly proportioned for a ceremony and dinner and then transformed into a generous dance floor and party space for the evening. The space can hold up to 140 guests for your ceremony and for eating, and 200 in the evening for drinks and dancing. A simply stunning wedding venue with a history to match − most famous for hosting Queen Elizabeth I’s first council of state – its medieval brickwork, beautiful wall hangings and stunning gardens make it a perfect setting and a fairytale wedding venue. Breathtakingly beautiful, the Dairy at Waddesdon Manor in Buckinghamshire offers a wonderfully romantic backdrop for the perfect wedding at any time of year. Set within magical woodland and picturesque grounds, the Cripps Barn surroundings are notably romantic. Lovingly restored and thoughtfully designed into a space perfect for hosting, Cripps Barn - with its timber structure, warming fire pits and garden bonfire - provides an idyllic setting for a relaxed, rustic wedding. Historic House, Coughton Court stands in 25 acres of grounds containing some of the most beautiful gardens in the country. Whether you would like a smaller and more intimate wedding with just close friends and family, or a grand affair of up to 120 guests, their function rooms can accommodate for your every need. Moggerhanger Park is the perfect wedding hire venue in Milton Keynes, Bedford and the whole of Bedfordshire. The Grade 1 listed house has unique history and inspiring architecture, the Walled garden offers a more bohemian offering, while the parkland can cater for much bigger numbers in a mini festival style or large marquee.